When Thubten Ngodrup set himself on fire in Delhi on April 27, 1998 and later succumbed to it calling for freedom of Tibet, it was registered as the first self-immolation protest for Tibetans in Exile. Since then, more than 160 Tibetans have immolated themselves across the world including in Tibet Autonomous Region (TAR) and outside Tibet. Many of the self-immolators have expressed a desire for the Dalai Lama’s return to Tibet and/or for freedom of Tibet. While reported self-immolations have come down, Tibetans point out towards Chinese state media’s reported guidelines that made it illegal to incite or assist anyone in committing self-immolation. International Campaign for Tibet (ICT), an advocacy organisation which promotes human rights and democratic freedoms for the Tibetan people, with offices in Washington DC, Amsterdam, Berlin, Brussels and a field office in Dharamsala, maintains that howsoever tragic, such acts depict the “desperate attempt to cry for help in preserving Tibetan culture in the face of an oppressive government” that is trying to destroy it. 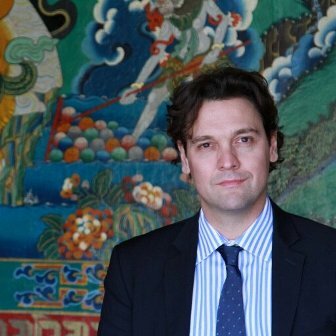 ICT’s President Matteo Mecacci in a conversation with Delhi Post throws light on self-immolations and mentions that they are indicative of “Tibetans’ ongoing plight”. Delhi Post: What is the situation inside and outside Tibet right now? Matteo Mecacci: Tibet was a historically independent country with its own unique culture, religion and identity. But sixty years ago, when the Tibetan people rose up to protest China’s occupation, His Holiness the Dalai Lama was forced to flee into exile in order to escape an apparent attempt by Chinese troops to abduct or kill him. Since then, China has ruled over Tibet with an iron fist, and Tibetans today are denied their most basic rights. Inside Tibet, Tibetans can be arrested and tortured simply for speaking to foreign media, protesting peacefully or even for celebrating the Dalai Lama’s birthday. At the same time, Tibetans in Exile are increasingly subjected to Chinese monitoring, living in constant fear that their families in Tibet will be targeted if they step out of line, even outside of China’s borders. Often, it is impossible for Tibetans living abroad to return home. Delhi Post: What sort of political statements do self-immolations invoke? Matteo Mecacci: This is a form of collective punishment reminiscent of the worst authoritarian regimes of the last century, and its taking place today in Tibet. 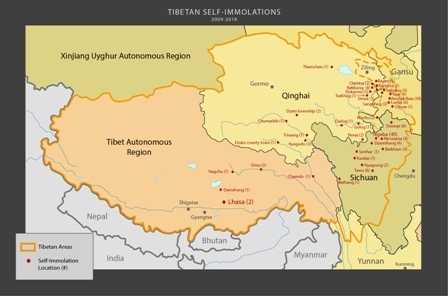 Self-immolations are a last resort act reflecting the extreme conditions under which Tibetans have been forced to live. Perhaps worst of all, China is trying to eliminate Tibetans’ unique and beautiful identity. Possessing a picture of the Dalai Lama can be illegal in Tibet, and Tibetans have been forced to replace images of the Dalai Lama with images of Xi (Premier Jinping). The Tibetan language is not used on an equal basis with Chinese in schools and courtrooms in Tibet; and Tibetan monks and nuns are constantly subjected to ‘re-education’ or indoctrination, while school children have been forced to sign a pledge not to take part in religious activities during their summer break. Tibetans are second-class citizens in their own homeland. In this broader context, self-immolations can be understood as a desperate attempt to cry for help in preserving Tibetan culture in the face of an oppressive government that is trying to destroy it. Today, there is a new generation of Tibetans who have grown up in Tibet. Despite the fact that they do not have any direct experience of life before the Chinese occupation, these people continue to take pride in their language, culture, traditions and spiritualism, which are constantly targeted by Chinese authorities. Matteo Mecacci: Self-immolations in Tibet reached a high point in late 2012, coinciding with the 18th National Congress of the Communist Party, at which Jinping ascended to the role of general secretary. There were five self-immolations the day before the Congress began, perhaps indicating an intention to make a statement to the incoming leadership about Tibetans’ ongoing plight. By the end of 2012, Chinese state media reported new guidelines that made it illegal to incite or assist anyone in committing self-immolation. This led to a surge in political imprisonments, including one case of the death penalty being sentenced, and numerous cases of Tibetans being ‘disappeared’, with family and friends unaware of whether or not they were still alive. Delhi Post: The Chinese Government has reportedly responded to self-immolations by arresting people accused of helping the self-immolators. It also describes these protests as “violent behaviour whose aim is to create an atmosphere of terror”. Your comment. Matteo Mecacci: Tibetans’ protests dramatically contradict the Chinese government’s claims that it is improving Tibetans’ lives and that Tibetans are grateful for Chinese Communist Party rule. They show that even after 60 years of brutal occupation, China has not been able to extinguish Tibetans’ desire to live with basic freedoms and dignity. Unfortunately, the Chinese Government has responded to self-immolations by arresting people falsely accused of helping the self-immolators. As with many of the Chinese government’s claims about the situation in Tibet, this one is patently absurd and an act of projection. It is the Chinese authorities who have used violence, including severe torture and beatings, along with a pervasive police presence and constant mass surveillance, to create an atmosphere of daily terror for Tibetans. For example, a monk named Choekyi spent three-and-a-half years in jail for wearing a t-shirt celebrating the Dalai Lama’s birthday. He was subjected to torture, hard labour and solitary confinement and denied medical care in prison. After he was released in January due to ill-health, security cameras are believed to have been set up on buildings close to his home to monitor, track and deter visitors, making it impossible for him to receive the medical care he badly needs. According to Tibetan sources, he is not allowed to go to a hospital or see a doctor without permission from authorities. This is the atmosphere China has created in Tibet, one in which Tibetans can be arrested and tortured simply for showing loyalty to their religious leader and their neighbours and family members cannot visit them or get them the medical care they need because of the threat of surveillance. It is this kind of repression that breeds self-immolations. Delhi Post: Do you think self-immolations are having the desired effect? Matteo Mecacci: Self-immolations are better understood as a last resort of people who feel that their very way of life is under threat, but who do not want to harm their oppressors. In many cases, self-immolations have led to a deepening of community feeling among Tibetans. While it is impossible to know the motivations of all self-immolators, many of them have expressed a desire for the Dalai Lama’s return to Tibet and for freedom in Tibet. For example, in one of the most recent self-immolations, a young man named Dorbe set himself on fire on November 4, 2018, saying “May the Dalai Lama live long! May we soon behold his golden countenance!” before he died. However, in the notes and testimony they’ve left behind, self-immolators have generally not called for other Tibetans to commit these acts. To be clear, ICT also does not encourage self-immolations, as we want all Tibetans to live, but instead sees these as tragic acts resulting from China’s extreme repression. Delhi Post: Tell us about the peaceful solo protests happening in eastern Tibet. Matteo Mecacci: Since about 2014, there has been a trend of peaceful solo protests in eastern Tibet, an act of bravery that stops short of the more extreme act of self-immolation. Nevertheless, solo protestors, who often hold images of the Dalai Lama or clasp their hands together in prayer, still know they face life-threatening abuse and imprisonment for their actions. Dozens of them have been imprisoned. Delhi Post: Tell us about the support of the global community. Matteo Mecacci: Foreign governments are once again beginning to push back in a major way against Beijing’s repression of the Tibetan people. In December, the Reciprocal Access to Tibet Act (RATA) was signed into law in the US. The most important Tibet-related legislation since 2002, it takes aim at China’s policy of preventing outside observers from entering Tibet while Chinese citizens, including Chinese state media and diplomats, travel freely throughout the US and other democratic countries. The new law requires the State Department to revoke or deny US visas for the Chinese officials responsible for keeping Americans, including thousands of Tibetan-American citizens, out of Tibet. RATA is an important step toward bringing change to Tibet. Just last week, more than 30 parliamentarians across Europe published an op-ed calling for reciprocal access to Tibet for their countries, showing that this is a global movement to hold China accountable for its unfair and inhumane policies in Tibet. Notably, no self-immolator has so far hurt anybody else or the property of the Chinese government. This is a remarkable statement on non-violent resistance in the face of occupation and oppression. This behaviour should be rewarded by the international media with more coverage, as it shows the real nature of Tibetans’ resistance. Delhi Post: Can dialogue offer a way out? Matteo Mecacci: The only way to bring peace and stability to Tibet is for the Chinese Government to engage with the Dalai Lama’s representatives to negotiate a settlement on Tibet’s future. China should realise that the human spirit cannot be extinguished merely by force, but that it can be won over by understanding and redressing legitimate issues and concerns.